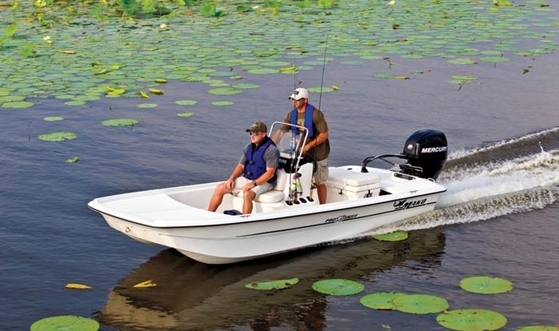 We know a bargain boat when we see one, and the new Mako 21 LTS has value written all over it. 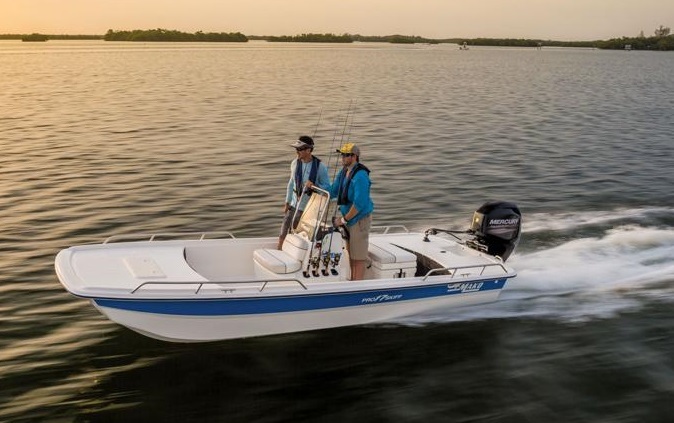 While many boat manufacturers have taken a hiatus from research and development through the recent economic miasma, Mako has been doing just the opposite, coming out with hot new innovative boats like the Pro Skiff 16 and the Pro Skiff 17. And as a result, they've been noticed—big time. 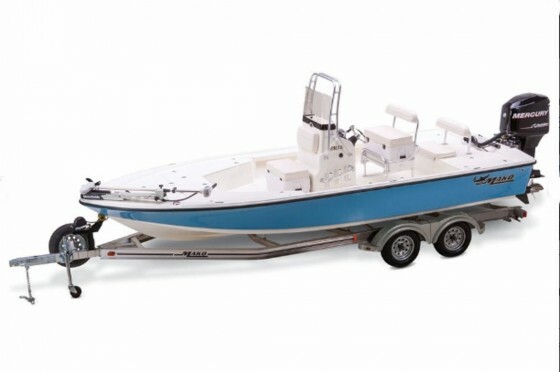 Mako was identified as a Consumers Digest Best Buy, and the magazine called the Pro Skiff 17 “the most impressive new boat-motor-trailer package to hit the water in decades.” This boat was also pegged as one of the Top 10 Fishing Boats of 2012 by Boats.com. 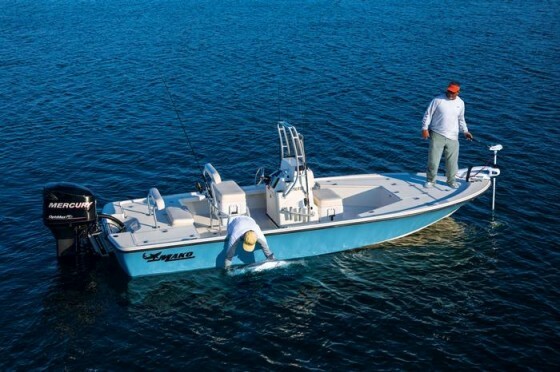 This year Mako has continued rolling out new models, and the latest is the 21 LTS. Light tackle anglers: The Mako 21 LTS is right up your alley. 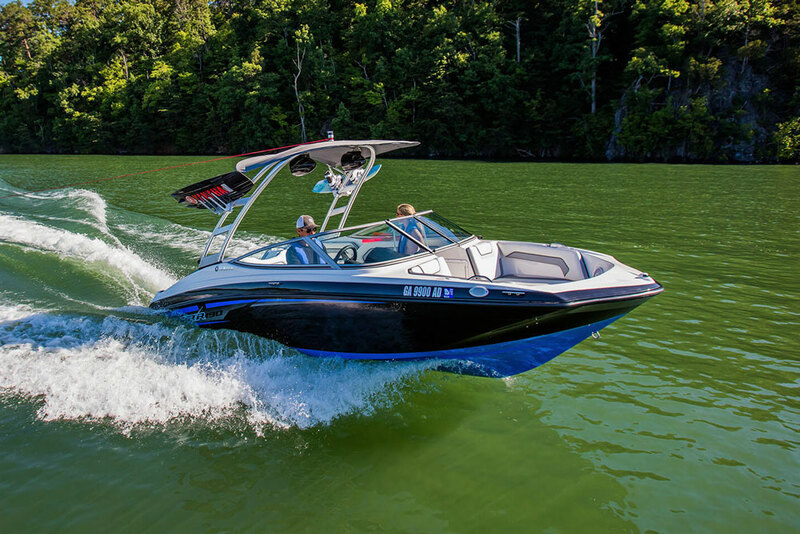 As far as mid-sized bay boat design goes, the 21 LTS isn't a big shocker. It doesn't have a stunning new hull concept, though this model does carry Mako's "Rapid Planing System" transom, which vents the running surface aft with lateral and longitudinal steps to reduce bowrise when coming onto plane. And the fishing features are more or less standard fare. 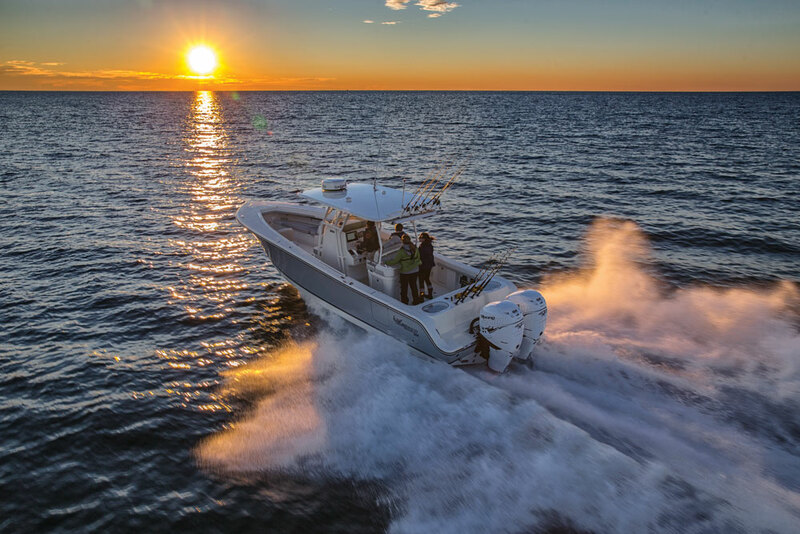 There’s a 30-gallon livewell in the aft casting deck, a pair of aft flush-mount rodholders, console rodracks, a forward console cooler seat, and a leaning post that houses a 94-quart cooler. Truth be told, a couple of items that should also be standard fare are cost-adding options. You’d be nuts to take the 21 LTS out on a serious fishing trip without the raw water washdown, for example, but it’s a $250 option. The emergency re-boarding ladder adds $225. Trust us, you want one of those. And the spare tire and carrier for the trailer adds $165. Wait a sec—the 21 LTS comes with a trailer? You bet. 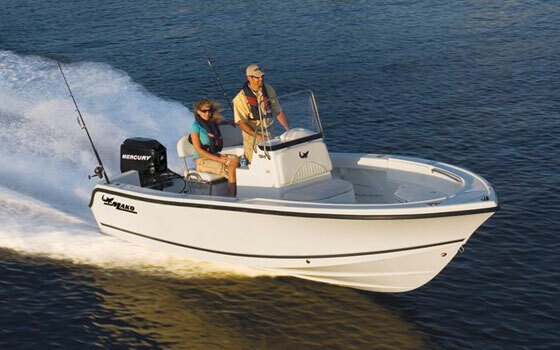 And the entire boat-motor-trailer package with a 150-hp Mercury Optimax outboard carries a nation-wide MSRP of… drum roll, please...$35,995. This is not a typo, and you did not read the numbers wrong. $35,995. Sure, you’re going to have to add in $640 for those must-have options mentioned earlier, and dealer prep and freight are going to add around a thousand bucks (more or less, depending on where you live). But any way you cut it, compared to today’s average fishing boat cost this is a SCREAMING good deal. 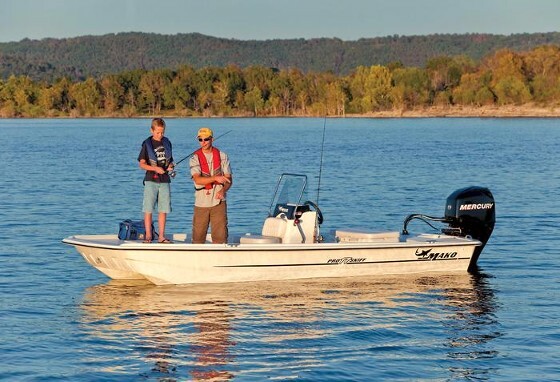 You’ll drive from the dealership to the boat ramp, 100-percent ready to fish, for under 40 grand. Wow. 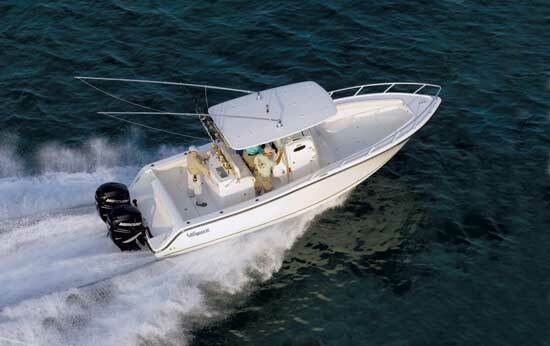 The Mako 21 LTS comes as a boat-motor-trailer package which, at under 40 grand, makes it a serious bargain boat. 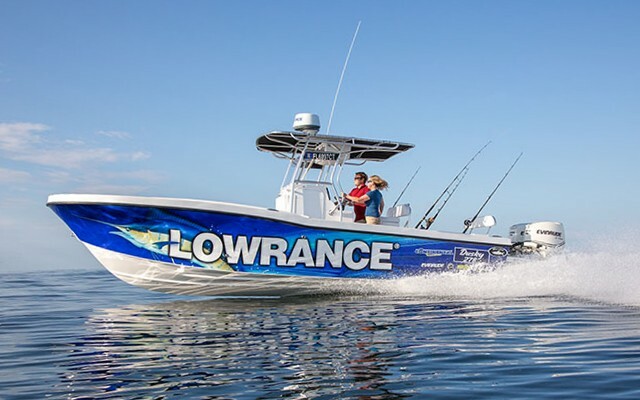 Many manufacturers try to keep the MSRP artificially low by powering the boat with a standard powerplant that’s barely able to get the boat onto plane, but that’s not a worry with the 21 LTS. 150 horses is more than enough juice, and you can expect to cruise in the 30’s and top out around 40 mph. Max power is just 75 horses more, and while the extra oomph may make life a bit more exciting, it’s far from necessary. You can spot a few cost-cutting measures in the boat’s fit and finish, though most are hidden from plain view. Some stowage compartments are un-finished inside, for example, and some others are lined with inexpensive plastic tubs. But the important stuff is taken care of. When you go to look at the insides of those compartments, take note of the fact that the hatches swing open on gas-assist struts, and they dog down with stainless-steel compression latches. Next, check out the hull to deck joint. It’s sealed chemically and mechanically on six-inch centers, 360-degrees around. The console and leaning post are also affixed both chemically and mechanically, and are backed by composite and aluminum backing plates. And the molded stringer grid is foam-injected. So yeah, the 21 LTS has grade-A beef where it counts. No one’s been happy with the way the economy’s been going for the past five or six years. Most boat builders have responded by cranking out the same-old, same-old, while prices have continued to rise. Mako has bucked that trend. They've made lemonade out of lemons. They've gotten noticed. And in the case of the 21 LTS, they've brought bay boat anglers a SCREAMING good deal. For more information, visit Mako Marine.